Our venue is so close to Victoria yet a world away in a quiet country estate. Here you can host your Victoria corporate meetings and special events in a setting which will inspire and refresh. Business meetings in the upscale country getaway at Victoria Garden Estate will benefit from the elegant character of the house and from its peaceful garden setting. Our Deep Cove location is easily reached from Victoria International Airport (YYJ), all ferry terminals and from downtown Victoria BC. 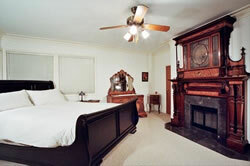 The house has several rooms for meetings and workshops and accommodates 15 to 18 people in seven bedrooms. There are all the entertainment facilities you’d expect, and a piano, music and movies library, telephone and wireless internet. Dine in the large well-equipped kitchen and dining areas or at nearby restaurants. 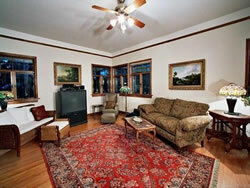 Contact Louise for your Victoria vacation rental or family reunion. You can check availability and book online.